The annual Abu Dhabi Book Exhibtion is on and should be a treat to book lovers as well as those looking to picking up some useful titles. 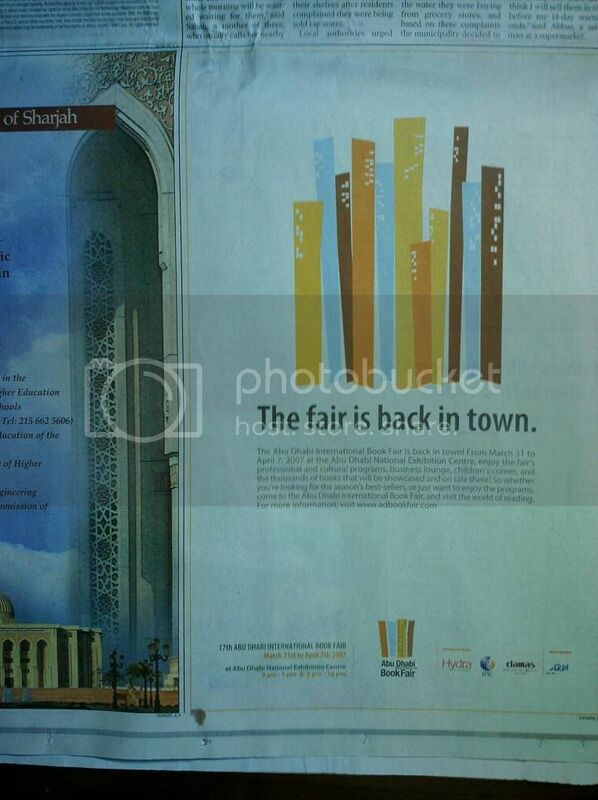 Though the ad below says the fair is until April 7th, a related article that I read in today's (3rd April 2007) Emirates Today states that the fair will be till April 13th...could have been extended due to the response and demand. I remember attending my first Abu Dhabi Book Fair in 1999 at the Cultural Foundation when starting out a career in web content development...I picked up an O'Reily book - Web Navigation .